Hardly a day passes that my mail does not bring a dozen or so letters asking me what can be done to change facial contours. Sometimes the letters will be from girls with long, thin faces and high foreheads. Often it is the problem of what to do for a girl with round and too wide a face! Well, nothing short of facial surgery can be done to change bone structure, but it is absolutely necessary to learn the tricks of the ‘contouring’ trade with your hair and make-up. Amazing results can be achieved. Sylvia Sidney‘s face would seem quite broad if she were not careful about arranging her hair and makeup. She parts her hair into smooth waves. When she uses rouge, she works it towards the centre and shades it in towards the nose, no make her face seem narrower. 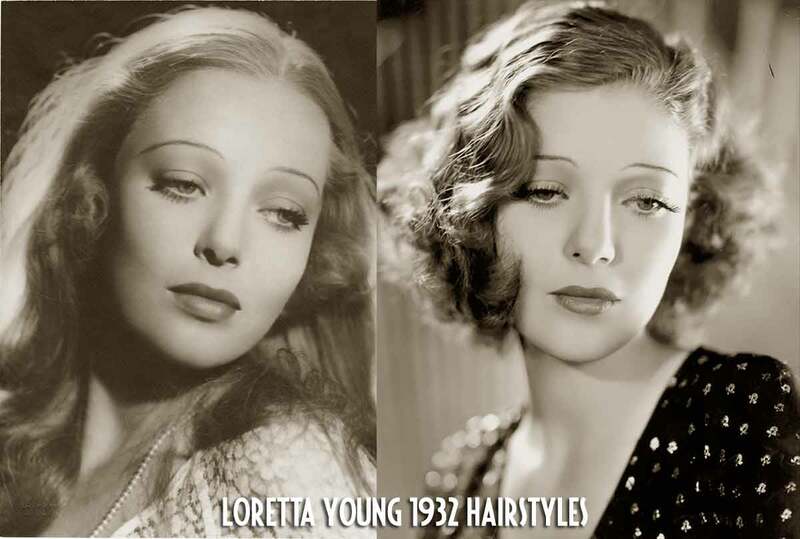 Loretta Young is in fact quite long jawed, and longish hair tends to emphasise it more, as in the photo to the left here. On the right, she looks very sweet with her hair in fashionable side parted fingerwaves, which are then brushed out to give a fullness to her face. It works, doesn’t it!? By a few deft touches, a perfect siren type can change herself into a demure school girl to fit a role. And visa versa. Just to show you how easily face values can change, I’ve selected photos of several stars. two of each – I want you to study them to see just what changes of hairline can do for the entire contour of the face. Not to mention what an eye-brow line or lipstick can accomplish! Take Greta Garbo. Greta has the high brow and long face of the Nordic. 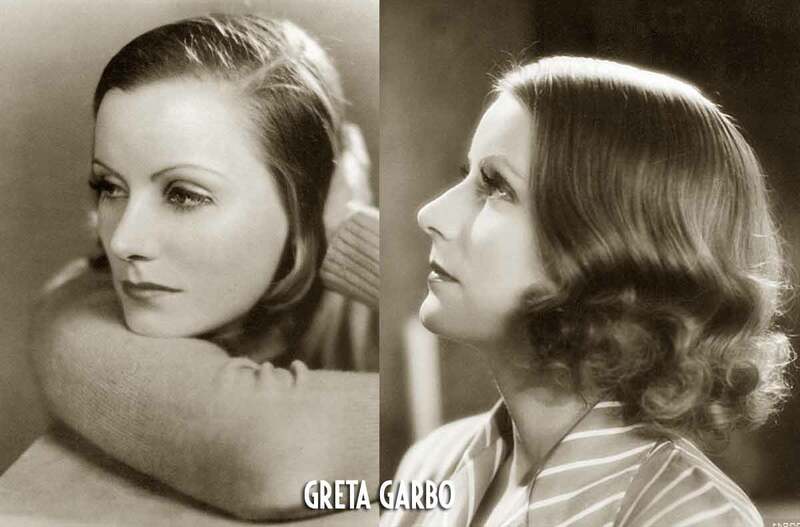 To the left, we see Greta in the straight, almost un waved hair-dress she affected in Anna Christie. Note how the open brow and long, uncurled pieces of hair tend to lengthen her face. Irregular features would stand out harshly in the severe coiffure, but would soften and become lovelier because of the curled arrangement. 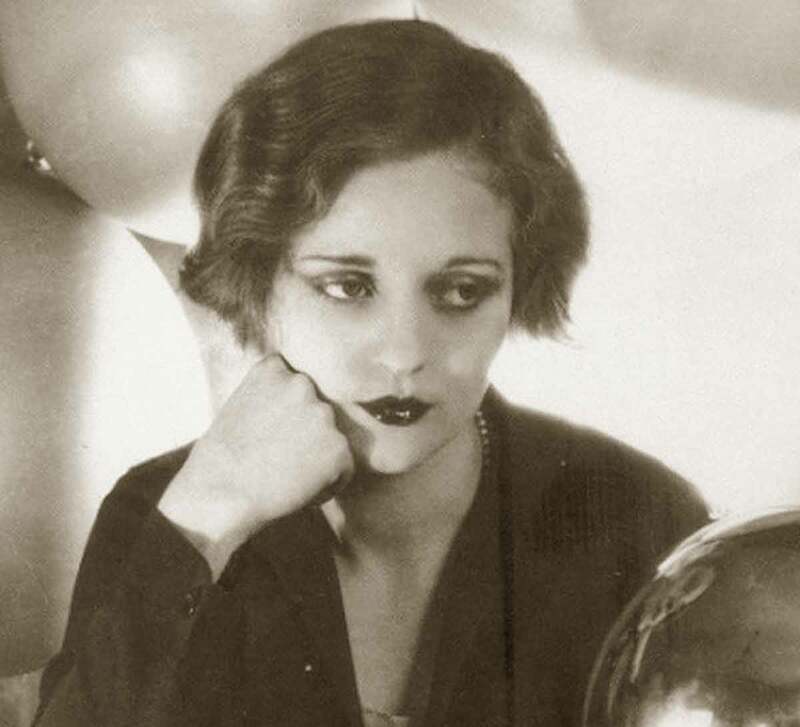 To the right in “Susan Lenox,” Greta chooses a new hair-dress which suited her portrayal later on in the picture – that of the gay, sophisticated woman. Soft bangs cut down the height of her forehead, a longer bob fluffily curled about the face, gave an oval curve to it. As you see, it actually shortens the face. If you’re face is long, here are some do’s and dont’s. Don’t wear a straight long bob. Don’t part your hair in the middle, rather give it a deep side part. let soft, deep waves and curled ends shorten the face and give it width. In making up, apply your rouge upward and outward toward the ear tops. Bring it under the eyes and slightly over the lids. This will give you width through the eyes and temples, thus shortening the whole face. 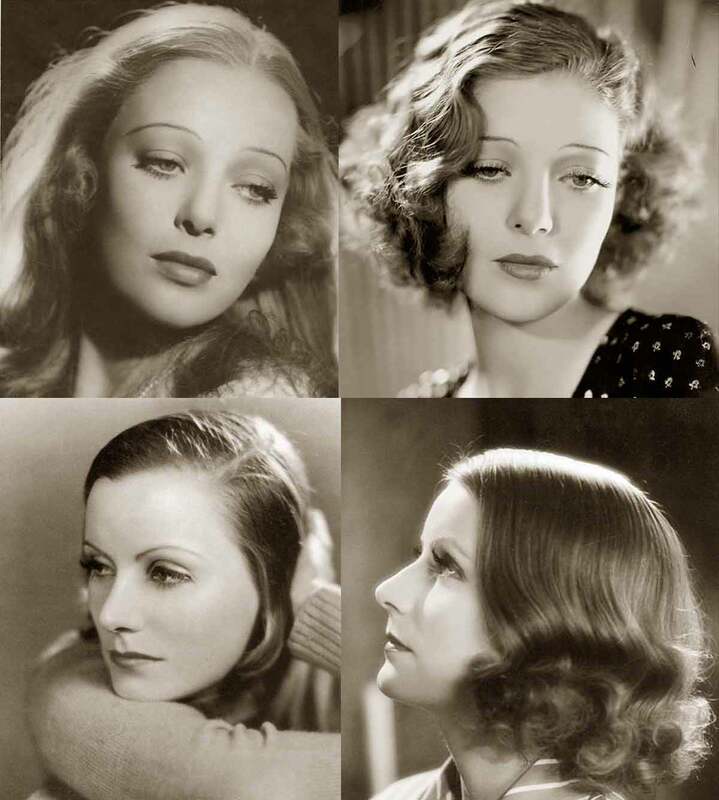 Look at the two pictures of Tallulah Bankhead. Did you ever see two such distinctly different personalities achieved by one person? In one she looks like a bored disillusioned woman. The heavily rouged mouth; the unevenly cut, long wisps of hair and the heavy eye make-up. To the right, she looks like a young debutante. The neatly dressed hair tucked back of the ears and the lack of heavy make-up has refined her features. And note how much rounder and shorter the face looks. 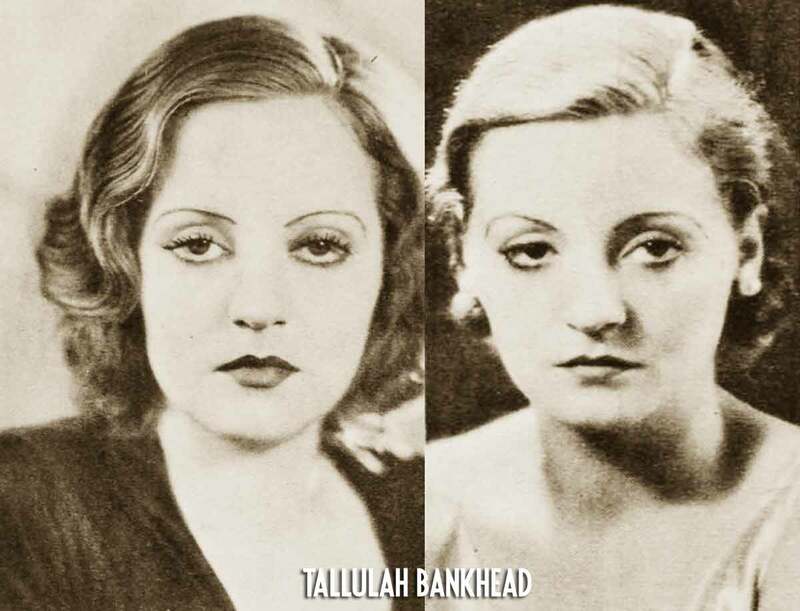 Tallulah’s mouth seems full and drooping with the lower lip so heavily stressed – yet it is rather large, generous and sweet with the make-up more evenly applied. If your mouth is thin-lipped you can make it fuller by carrying the lip rouge to the upper and lower edges but not to the corners of the mouth ! If on the other hand it is too full lipped, then center the color and gradually fade it out as you reach the edges of the mouth. A brush is best used for this rather than just applying rouge straight from your lipstick.